Communities across Idaho are issuing proclamations and hosting events to recognize the Week of the Young Child. We hope you will join the festivities – or use the ideas below to celebrate in your own way! Celebrate with daily Week of the Young Child themes! When children sing, dance, and listen to music, they develop language and early literacy skills while being active. 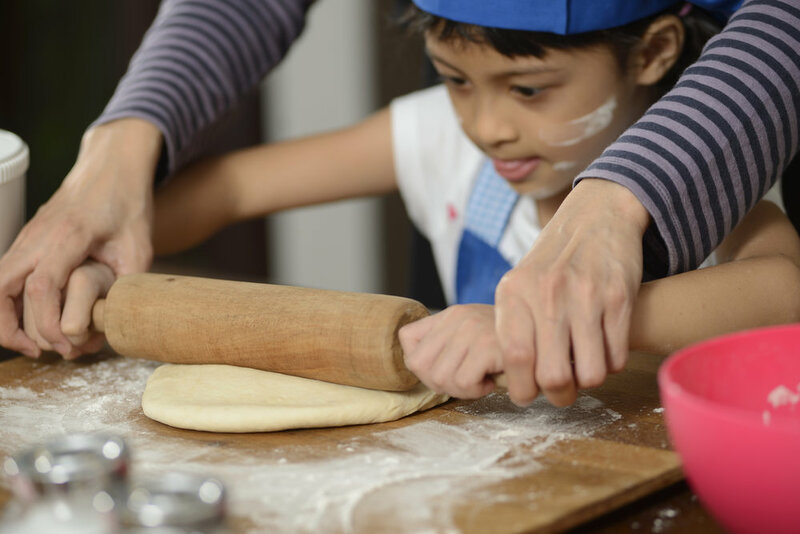 Cooking together connects math with literacy skills, science, and more. With the rise in childhood obesity, you can encourage healthy nutrition and fitness habits at home and in the classroom. When children build together, they explore math and science concepts and develop their social and early literacy skills. Anything can be building material – from branches on the playground to blocks in the classroom or pillows at home. Children develop creativity, social skills and fine motor skills with open-ended art projects that allow them to make choices, use their imaginations, and create with their hands. Engaging and celebrating families is at the heart of supporting our youngest learners. Family members are a young children’s first and most important teachers! Whether you're celebrating in a classroom or at home, we want ﻿to see your Week of the Young Child photos! Share them on Facebook or email them to us at outreach@idahoaeyc.org.